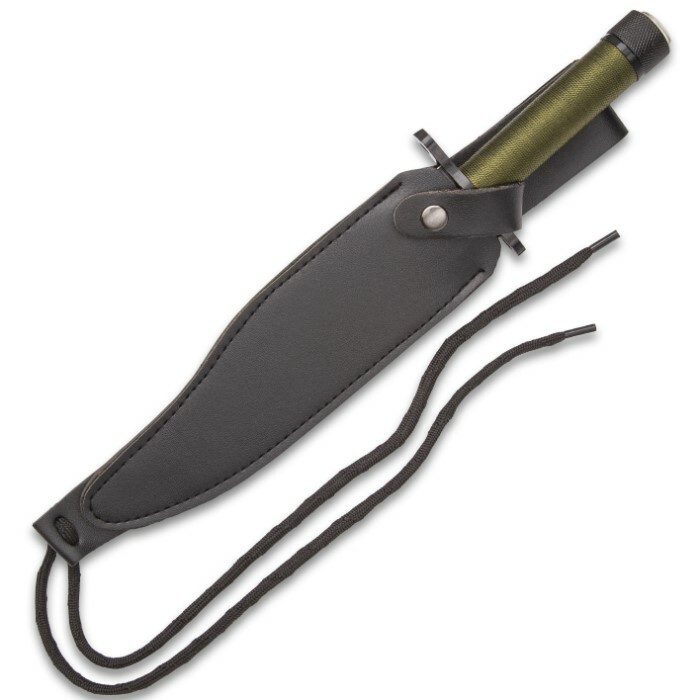 Amazon Jungle Survival Bowie Fixed Blade Knife With Leather Sheath - Survival Kit In Cord-Wrapped Handle, Built-In Compass - 13" Length | BUDK.com - Knives & Swords At The Lowest Prices! 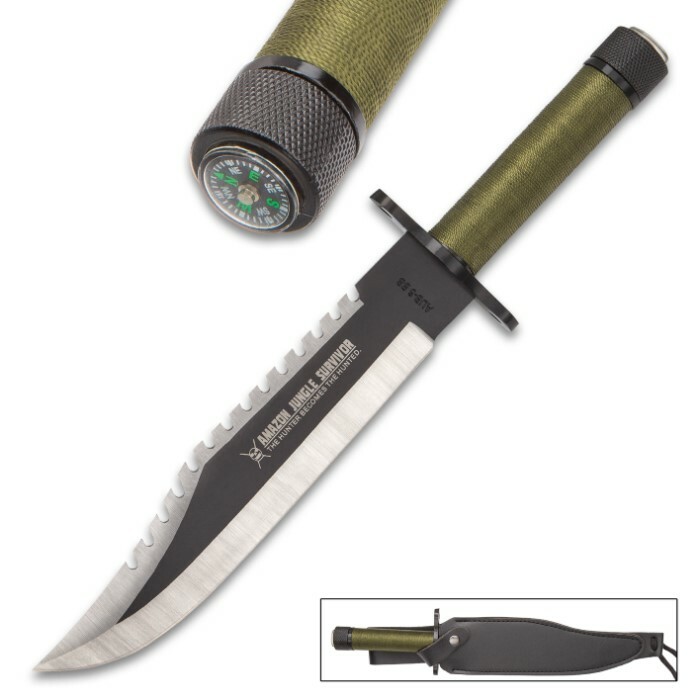 Don't brave the jungle without this knife! 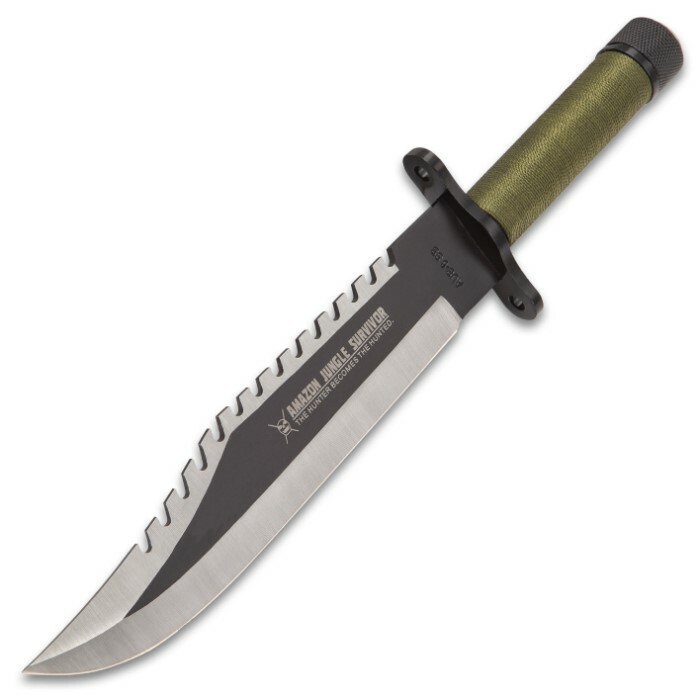 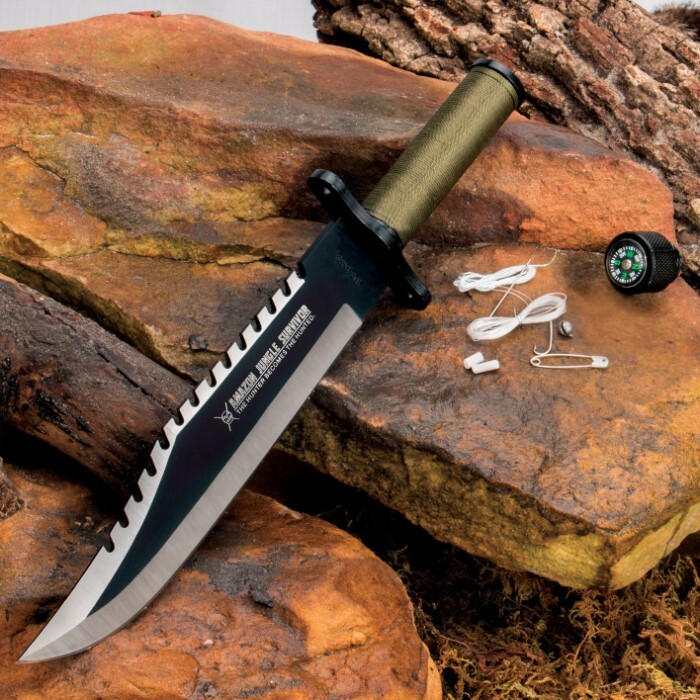 The Amazon Jungle Survival Knife features a drilled guard for strapping and spear applications and heavy jagged sawback ridge design, completed with a corded handle for grip and twine. 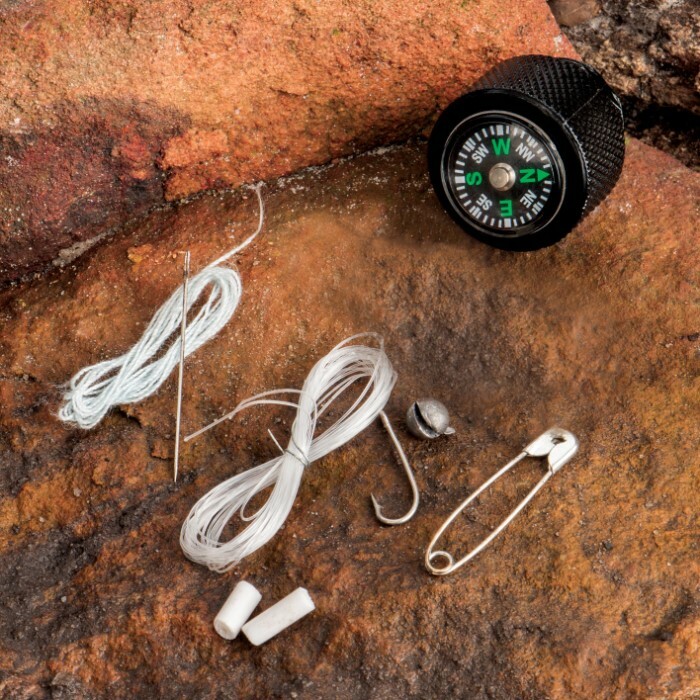 The handle houses a mini survival kit, including matches, fishing line, a hook, needles and thread, a safety pin, and striking paper.